The steel industry is no stranger to technology. Our field has always been at the forefront of advancement. 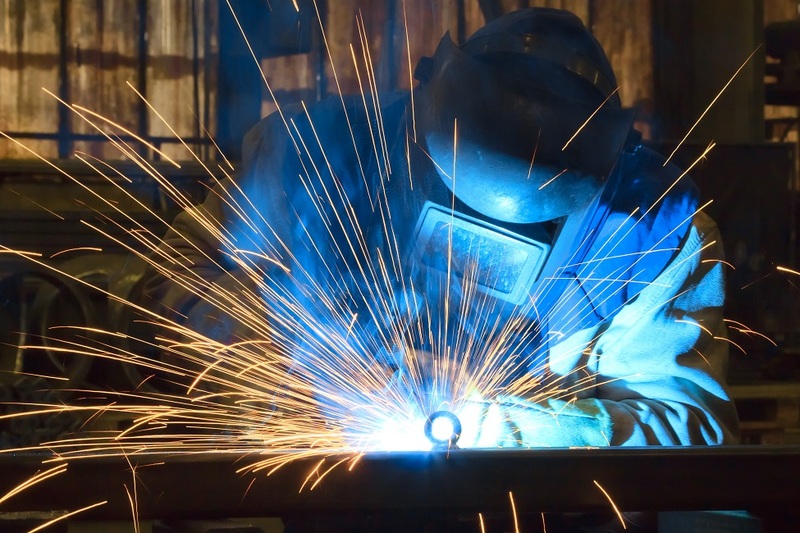 Over the years, we’ve integrated new tools, equipment, and ways of making the jobs of suppliers, welders, material handlers, estimators, and project managers easier and more efficient. While the buildings, structures, and ways in which we work may have changed, as a structural steel supplier we know that technology can’t replace many of our jobs. The improvement of many steelworker jobs has been that productivity time has dramatically increased allowing us to help builders meet their deadlines for construction. Steel has always played a pivotal role in the US. But if we take a trip back to the 19th century, the steel industry looked vastly different for America. For one, steel production was more independently run and capitalism played a small role. Steelworkers were the ones making decisions and running the business. With the recent news regarding the future of steel jobs, revisiting the industry’s past can help us see the importance of its future. The late 1890s was an important time for the steel industry in America because steel began replacing iron in the industrial realm. It was also a period where the country surpassed Great Britain in steel production. In the early 1900s, steel was becoming a prominent investment for corporations and investors. The Carnegie Corporation was founded and quickly captured 25 percent of the nation’s steel market. Soon, financier J.P. Morgan got on board and was controlling 80 percent of the US output of steel. During this period, steelworkers were in high demand. Some steel companies hired workers directly or used the contracting method. Skilled workers were paid based on the amount of steel they produced known as the “tonnage rate.” The tonnage rate was based on the market price of steel and included a minimum rate that prevented wages from falling. Early adaptations of this model go back as early as 1865 in the Steel City, otherwise known as Pittsburgh. This model meant that employers had little control over workers’ incomes since it was a scale based on the market of the time. There were major setbacks to this and so unions began to form as a result. The Amalgamated Association of Iron and Steel Workers, known as the AA, was founded in 1876 to offer representation for the iron and steel workers who felt they were under attack by the government and the large US steel corporations. The AA sought to protect workers from attempts to lower their pay. There were strikes held in steel plants across Pennsylvania and in 1919 the largest one was held in the Midwest between September 1919 and lasted until January 1920. During this time, the AA urged workers to demand higher wages, a steady eight-hour workday, and for corporations to recognize unions. The reaction was mixed. Some saw strikers as dangerous while others realized the importance of the steel industry’s future and gave it more attention. What Does the Past Mean for Today’s Industry? Earlier this year we heard a lot of news regarding the steel industry as President Trump imposed a 25 percent tariff on steel imports. A Washington Post article published in September highlighted the continuous struggle between steelworkers and the government’s role in their jobs. The article warns of the possibility of history repeating itself since high tariffs don’t translate to higher wages and Trump supported a Supreme Court rule that would limit funding for unions and their ability to bring in new members. This all brings back memories of the late 19th century when a Republican Congress passed “the protectionist McKinley tariff of 1890″ and steel prices and profits began to suffer. The reminiscent of this past has also brought on mixed reactions from both steelworkers and corporations. If there is one thing we know to be true in El Paso and across the nation, it’s that steel is a critical aspect of infrastructure. Since our start in the 1980s, we’ve committed to being El Paso’s destination for structural steel. We remain optimistic about the future of the steel industry especially in our community, which is seeing tremendous growth. As a structural steel supplier, we will certainly be following any changes that are implemented. Steel Specialties’ commitment to builders and constructors won’t be diminished! Connect us today for your next project’s material needs.